Record from and manage up to 8 cameras with the NRP Series 8-Channel 8MP NVR with 8TB HDD from Speco Technologies at resolutions up to 3840 x 2160. Preinstalled with 8TB of HDD storage, the recorder can be expanded to host two HDDs up to 8TB each for a maximum internal capacity of 16TB. H.265 and H.264 compressions keep file sizes manageable while maintaining the best quality possible. Two-way audio communication is supported. 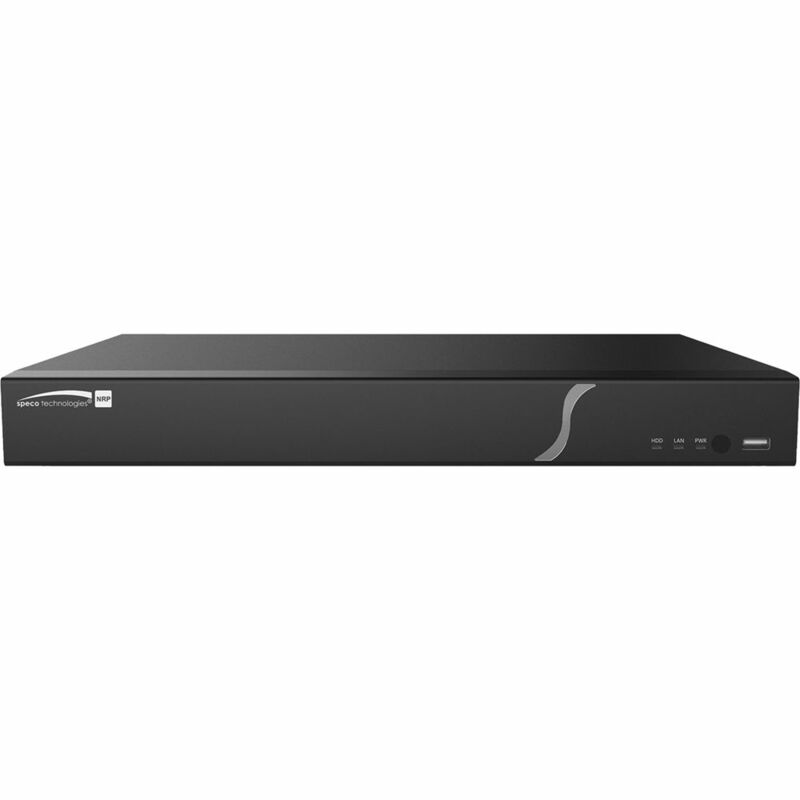 This NVR supports simultaneous HDMI and VGA outputs, as well as up to 10 users. It complies with ONVIF version 2.6 for interoperability with cameras that are ONVIF compliant.